About Evelyne Brancart | Delos Music | Outstanding Classical Recordings for over 40 Years! Next week we will release the album “Chez Chopin: 24 Études, 24 Recipes” featuring the remarkable pianist Evelyne Brancart. Today we wanted to give you a chance to learn more about this outstanding pianist. Evelyne Brancart is currently Professor of Music (Piano) at Indiana University School of Music in Bloomington. She was also chair of the Piano Department there from August 2001 to January 2011. She has held teaching positions at the University of New Mexico in Albuquerque, Rice University in Houston, San Francisco Conservatory of Music, and Aspen Summer Music School, where she created an innovative seminar devoted to the Chopin and Liszt Études. Her conference on the Chopin Études, “The Hand as a Source of Inspiration,” and her seminars entitled “The Art of Playing the Piano” and “Deconstruction for Reconstruction” (Reflections on J. S. Bach), have enjoyed tremendous success among pianists, piano teachers, amateurs and musicians. Her recent visits to Belgium, Taiwan, Chile and Spain have included the popular seminar “The Art of Playing the Piano,” along with solo recitals and master classes. Hall), and has made several recordings with BBC orchestras. After moving to the US in 1980, she made her American debut in Alice Tully Hall in 1982 with a much-noted performance of the Chopin 24 Études and the Brahms-Paganini Variations. Evelyne Brancart is also highly respected for her Chamber Music performances. Between 1986 and 1990 she was a member of the Seraphim Trio, with whom she performed all of the Beethoven Piano Trios. In recent years she has performed all of the Beethoven Sonatas for Violin and Piano, as well as the Beethoven Sonatas for Cello and Piano. She has appeared with such artists as Frederico Agostini, Atar Arad, Jeremy Denk, Miriam Fried, Gary Hoffman, Tony Ross, Arnold Steinhardt and the Orion String Quartet. 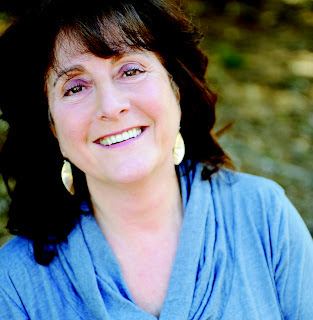 Ms. Brancart has been a regular guest at the Ravinia Festival, Aspen Music Festival, Seattle Chamber Music Festival, Norfolk Chamber Music Festival, Da Camera (Houston), Leicester Music Festival in England, Mozart Festival in Lille France, Music at the Red Sea in Israel, Perry Sound and Sainte-Petronille in Canada, Bay Chamber in Maine, Close Encounters with Music in Florida and the Festival D’Horrues in Belgium. Ms. Brancart has made recordings for the Decca and Teldec labels; and her live performance of the Mozart Piano Concerto K.467 was recorded and released by Deutsche Grammophon. She has recorded the Brahms-Paganini Variations and Liszt-Paganini Etudes for Koch Discover. For Boston Records she has recorded the Elliot Carter Sonata for Cello and Piano, along with the Rachmaninoff Sonata in G Minor, Op. 19, with cellist Anthony Ross. 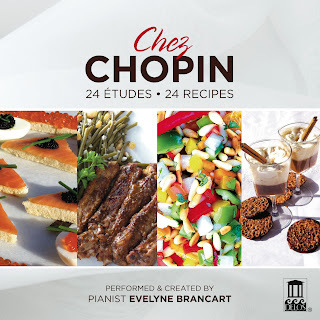 Chez Chopin is currently available for MP3 Download.